It’s that time again, folks. 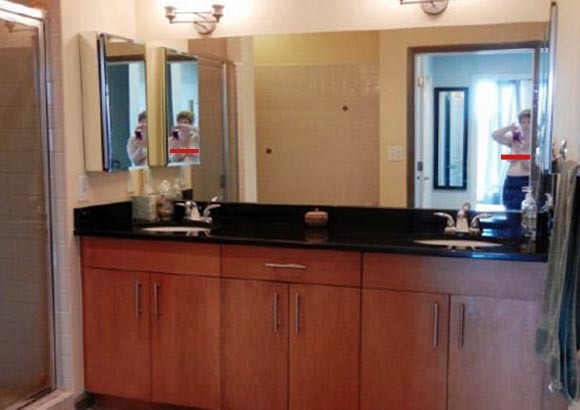 Time for us to offer up another helpful photo gallery for real estate sellers. Consider the following series of images a list of “don’ts” for those posting an online listing. Found on Craigslist, the above photo was part of a roommate want ad accompanied by a letter, which begins: “First, I have two pot belly pigs who will be an unavoidable part of your life. 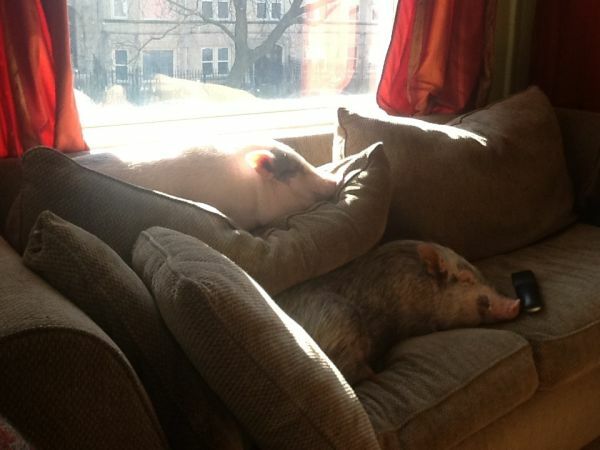 They are intelligent, sweet, and adorable, but they also behave like pigs.” Points for honesty. Snakes belong in jungles and, in certain cinematic scenarios, on planes. 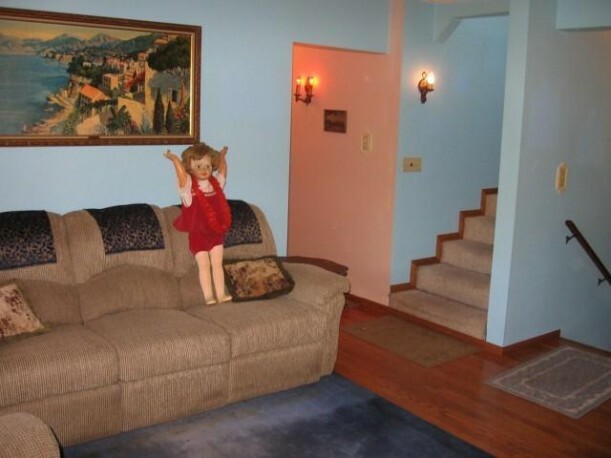 Never on a bed in a room you’re trying to sell. 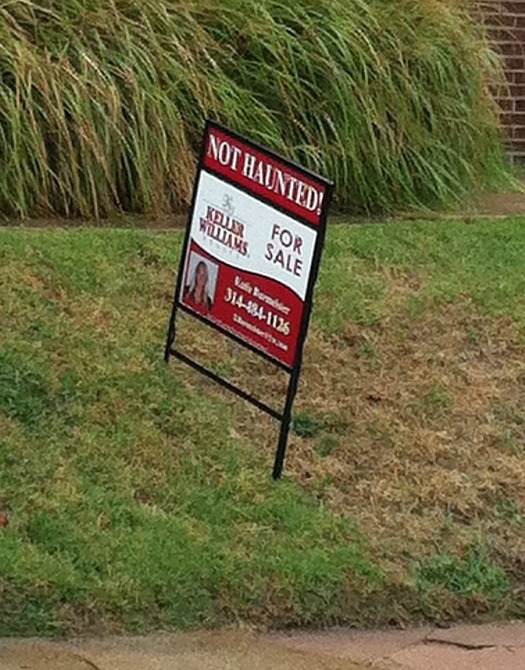 Look, if you have to say the house isn’t haunted, chances are it really is. 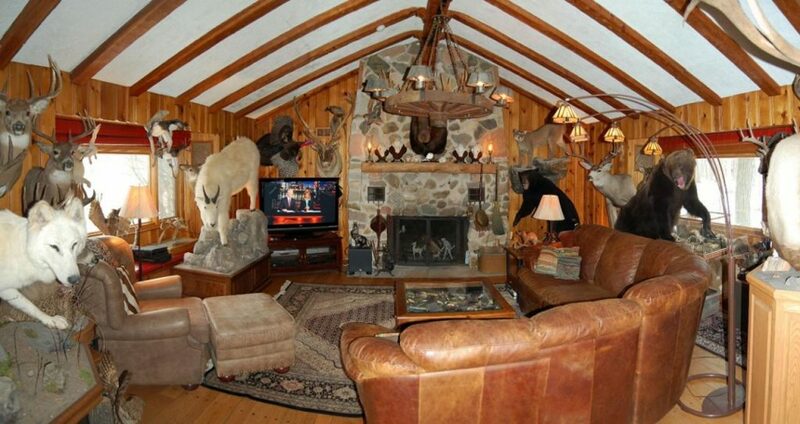 Keep yourself out of the listing photos. Or, at the very least, keep all your clothes on. 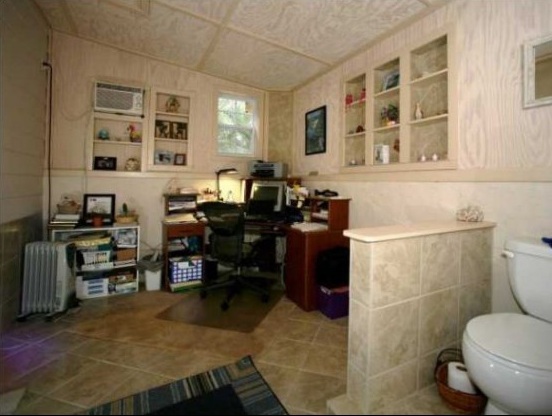 There’s no question we’re big fans of space-saving designs, but this tiled bathroom/home office seems a bit much.